Passive income is when you can park your money and watch it grow. Of course, that would apply for a slow-gaining "investment" such as a Money Market account or a CD but neither will make you very wealthy. The next best thing as a Passive Income Strategy is to use income real estate investments as the ideal vehicle to get monthly passive income and there is a variety of methods and ways of doing this, essentially involving real estate. My ultimate favorite passive income investment vehicle is multifamily cash flow properties. I love this type of investment strategy just because it can weather the storms of any series of economic conditions simply because people always need a place to live. MHPs (mobile home parks) also fall into the multifamily category. Whether you choose to acquire a ton of SFRs (single-family residences), smaller multifamily properties (duplex, triplex, or "quads"), or residential-commercial properties (apartment buildings with 5 units or more), if you invest correctly you can guarantee a lifetime of growing passive income for your years of retirements and even to pass down to your children. By the way, be careful if you're planning on investing in SFRs. My strategy includes investing in properties where you pick up each unit for less than $30,000, preferably all cash where no mortgage comes into play. Getting the cash for these deals is where my Aggressive Income Strategies comes into play. When mortgaging a ton of SFRs, you can quickly get into trouble when the economy takes a dive and you're stuck with several non-paying renters while you're on the hook for the mortgage. 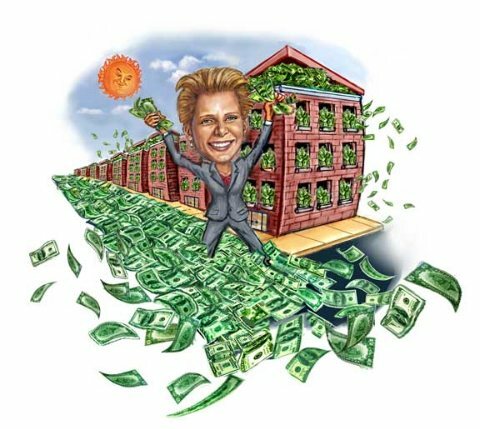 When investing in multifamily properties (preferably apartment buildings), you are purchasing "in bulk" so if a tenant stops paying rent, you have several other renters who can help keep your investment financially stable until you give your tenant the boot and replace him with a rent-paying tenant. Another type of asset class to consider are MHPs. The really unique (and nice) part about this investment is something called "complete pass-through" when converting your parks into something called "resident-owned" which essentially means the tenant owns his own mobile home unit. This means he has to handle 100% of all the maintenance issues and problems with his unit. You handle the grounds which means keeping up landscaping and functioning infrastructures (such as the sewer system, electric, etc.). You get "pad" or "space" rent from each tenant and leave behind the headaches of traditional property management which includes maintenance issues. You can also invest in commercial-commercial properties (office buildings, retail storefronts, and industrial/warehouse) for a solid monthly passive income. The nice part about this type of investment is that you can get Triple Net (NNN) or pass-through on your expenses including maintenance, utilities, insurance, management, and taxes by passing these expenses onto your commercial tenants who are business owners. The problem with this type of asset class is that it doesn't weather the economic storms very well and tend to do poorly during an economic crisis because this is the time when businesses will go bankrupt. It's recommended that less than 10% of your overall real estate investment portfolio contains commercial-commercial investments. Your very maximum would be 25% of your investment portfolio. How should you get started investing using my Passive Income Strategies? I suggest you choose an asset class that you like. I have several courses from investing in apartment buildings to self-storage units. It's critical that you choose an asset class you have an affinity for before beginning investing as a new real estate investor. If you have any questions, feel free to call my office at (661) 295-5050. Apartment Riches Cash Flow System - Exactly what you need to learn how to make $24,000 per month in passive income starting with little or no money down. This is our signature course and is most popular amongst our students and has created hundreds of apartment building owners and millionaires with these strategies. MHP (Mobile Home Park) Cash Flow System - This is one of our most popular courses (besides the Apartment Building Cash Flow System) which shows new investors how to tap into the highly lucrative business or mobile home park investing, starting with no cash and no credit. Tap into rare money sources too! Multi-Unit Cash Flow System - This system shows students how to pick up hundreds of single-family residences (SFRs) and smaller multi-family properties (such as duplexes, triplexes, quads, and small apartment houses) as buy-and-hold investments for long-term passive income. Most properties will be bank-owned REO assets.